Axis Of Oversteer: Please Robert, Stop Rallying. I just don't know what else to say after watching this clip of Robert Kubica crashing into a guard rail and miraculously not falling off a 30 foot drop yesterday at the ERC Rally Canarias. 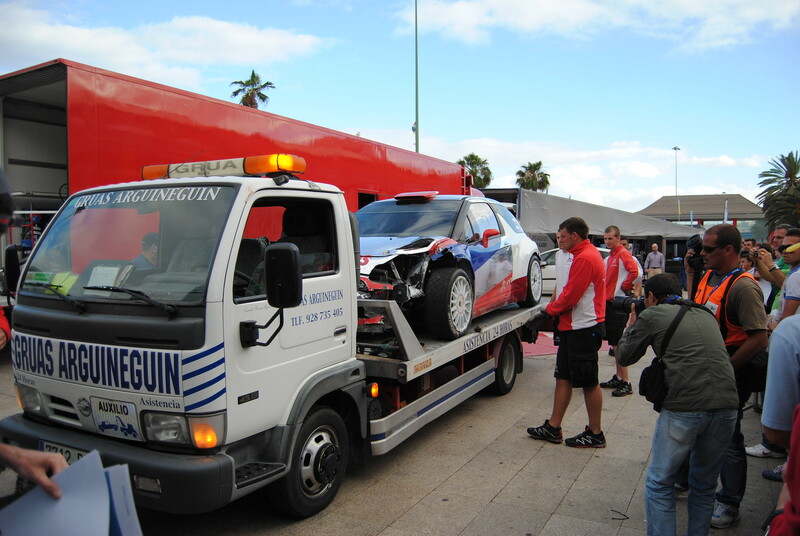 Kubica was leading the rally at the time. In case you are not familiar with Kubica's story, suffice it to say that a crash against a guard rail in casual rally appearance early 2011 ended his promising Formula 1 career and partially severed his right arm almost killing him. No joke. Kubica, I think, was well on his way to very possibly being an F1 World Champ some day. And he ruined it rallying. What a shame. Plus, he had the coolest helmet paint job ever. Robert should have made his money and accolades in F1, then once he hit his late 30's early 40's then rally. There is a youtube onboard video too, all to familiar. Kubica is a real racer,old school racer that race till death,others sure given up and go home but Kubica is still there and we"ll see him on the WRC in short time for sure. The first day he put 1´ 06" to the second,the recent champion on the speciality, only Kubica need is experience and know how to manage a complete rally.